We gladly inform you, that our Annual Masquerade Party is here again (the third time)! 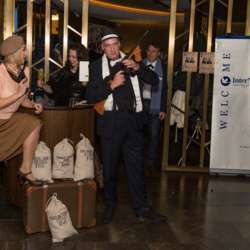 This year we would like to invite you to a Prohibition-themed party to soak together in the atmosphere of the 20s and 30s in our favorite Kempinski Blue Fox Bar! 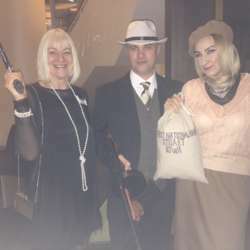 Put on your Great Gatsby dress, suit, or simply just a mask or a hat and join us on this special occasion! 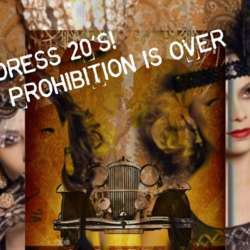 Come and let's have a drink together - because the Prohibition is over! ATTENTION: Please note that, for administrative purposes, the guest list will be closed at 17:00 on the event day, so please don’t forget to register before! Make sure to sign up to the event to enter for free (Albatross Members) or for a reduced fee (Basic Members) and to receive the free welcome drink. As always, do not hesitate to invite your international friends. Make sure to arrive before our welcome desk is closed at 21:30. Afterward, we will be not able to ensure the InterNations benefits anymore. See you there! We'll be waiting for you!